Over the past 38 years, The Motability Scheme has been on hand to help disabled drivers or carers become more mobile. People can swap their mobility allowance and use it to lease a scooter, powered wheelchair or a car. Over the years, more cars have become available on the scheme. Generating a lot of new car registrations for dealerships across the country. The Kuga is big on comfort. With the size of the Ford Kuga, it isn’t difficult to see why it can be the smart choice for someone who finds movement a little difficult. Boasting vast spaciousness in the cabin area for both the driver and the front and rear passengers. With the Ford Kuga having the added benefit of height and sitting high off the ground it can provide a much more comfortable seating position. Customers considering a car on the Motability scheme may have difficulty sitting in cramped positions. Or may need extra space to house crutches or a walking sticks. Making the Kuga the perfect choice. The Kuga is way ahead on driveability. With two driving options being 2WD (Two Wheel Drive) or AWD (All Wheel Drive being a four wheel drive version) you will be able to find something to suit. The Kuga comes with a manual or automatic gearboxes, diesel or petrol fuel types and driver comfort to be rivalled by none. The Kuga also has large visual aids with electronically adjustable door mirrors and large windows all round. Making sure you can see all aspects of the road and blind spots. Customers considering a car on the Motability scheme may have issues with movement to their upper body. The visual aspect of the Kuga can help those people drive more efficiently. 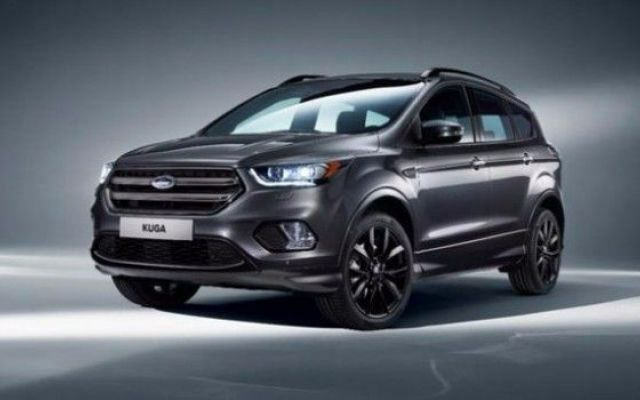 The Kuga is visually appealing. I wouldn’t say the Kuga is your typical 4×4 type car. Visually it has sleek lines, sporty grills and large alloy wheels. Customers who are needing to order a car for specific needs no longer have to sacrifice the look of a car. The Kuga has kerb appeal. The Kuga has the space. We have already covered the interior space but what about everything else. You could be one person with a wheelchair or mobility scooter. Or a large family that need the space for many different things including pushchairs and travel systems. The boot space available on the Kuga can accommodate for all the eventualities. The Kuga has a lot as standard. The Kuga may have visual appeal on the outside with alloy wheels as standard, side skirts, twin exhaust tailpipes and sporty grills. Giving the Kuga that extra edge. But the interior specification is just as good and all as standard. Things like air conditioning and Quickclear heated front screen, which is amazing during the winter months. Make this the vehicle that ticks all the boxes. It’s not hard to see that the Kuga is becoming the vehicle of choice in the Ford range.